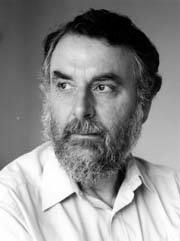 Ian M Emberson was born in Hove in Sussex in 1936 and was proud to have been christened by the poet Andrew Young. After moving around quite a bit he met his wife, Catherine, in 1988 and later moved to Todmorden, just within the Yorkshire boundary, where he spent many happy years. He took early retirement from his post of Music Librarian at Huddersfield Central Library in 1986 to concentrate on writing and art and this he did fastidiously until the day that he died. He enjoyed walking and swimming and was a life member of the Gaskell and Bronte Societies. He is survived by his daughter, Beth, who lives in France. Ian was greatly loved and cherished and is sorely missed by the many people whose lives he touched in a profound way. This website will continue to be maintained and expanded by Catherine Emberson. Any enquiries or comments about Ian's work are most welcome.